TOP bv performed with partners a comprehensive literature study into food and life style in relation to Alzheimer’s and related brain diseases that might have a genetic component. The literature study represents the starting point of a practical research that will begin during 2018 and 2019. Multiple scientists are involved in the research and the design of the future investigations. Over the past months hundreds of scientific articles have been reviewed and assessed on micro nutrients, food products and diets. The findings from the study will not yet be made public, but form the basis of the additional practical research that is under construction. 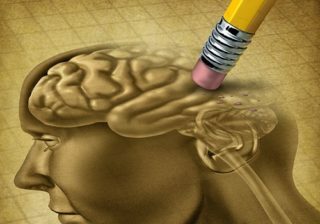 Dementia is now the number 1 cause of death in The Netherlands. Alzheimer’s decease is the most common form of dementia. Since the fifties the number of people with Alzheimer’s has doubled. And it is expected to double again in the next 25 years (up to half a million patients). Despite decades of pharmaceutical research, no cure has yet been found. Some larger pharmaceutical companies even abandon their research. Also doubt has risen about the mechanism causing Alzheimer’s. The practical research will focus on the question whether there is a possible link between food patterns and lifestyle on the one hand, and the development of symptoms of dementia on the other. An additional important goal is to improve the quality of life of the patients and possibly decrease negative effects. The practical research will probably start during 2018 and is expected to take up to one or two years. We are looking for additional partners to join our efforts.